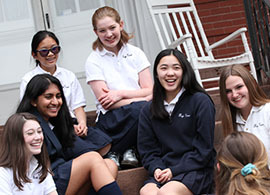 We welcome your interest in St. Mary Academy - Bay View and invite you to experience our rich tradition of educating and inspiring girls and young women since 1874. 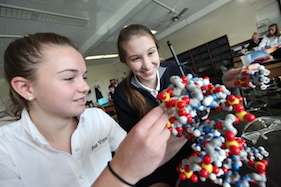 At Bay View, academic excellence is our passion. 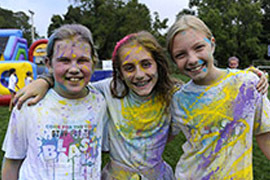 Our girls and young women are encouraged and inspired to exceed their expectations, whether it’s in the classroom, the science lab or the art studio, on the field, or for the young girls, on the playground. We strive to develop compassionate leaders with the confidence to excel in whatever they do. We know that by visiting this website, you are seeking information about Bay View and pursuing a different academic environment. 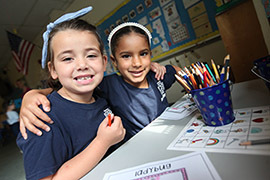 We encourage you to take the time to look through our website and to come visit us to get a true sense for the unique experience that Bay View offers as the only Catholic, all-girls school in Rhode Island. Whether it is an Open House, a private tour or a “Day at the Bay” spent shadowing one of our students, we encourage you to see for yourself what it means to be Bay View.